My kids’ favorite go-to food when they are sick is those Asian instant rice noodle bowls with the little packet of oil and extra salty seasoning. I decided a while back to concoct my own more healing version and we all gobbled it up. 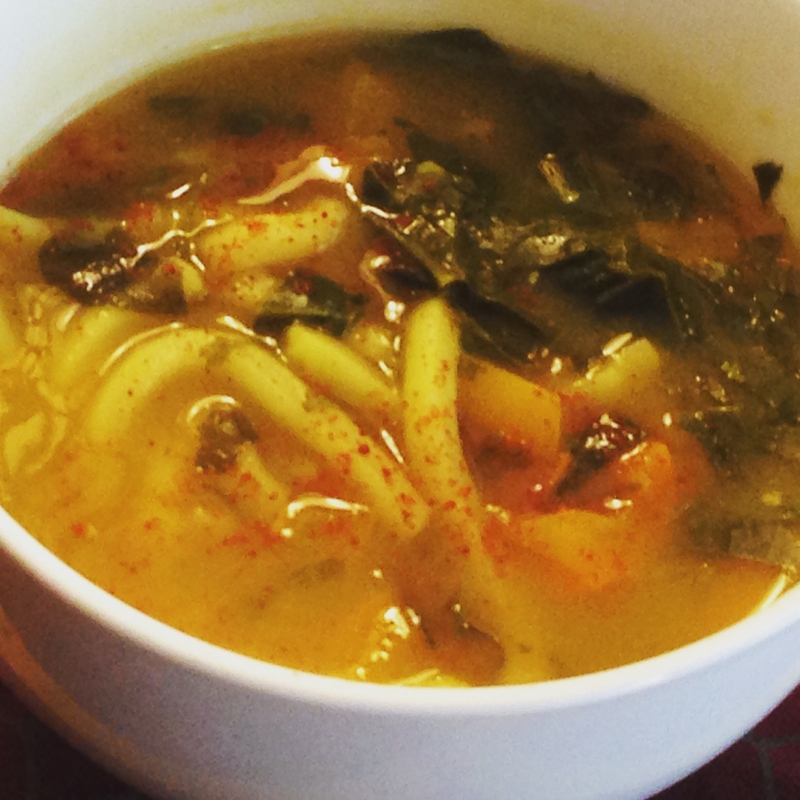 Using ginger, garlic, and miso, produces a broth that is soothing and savory sip after sip. 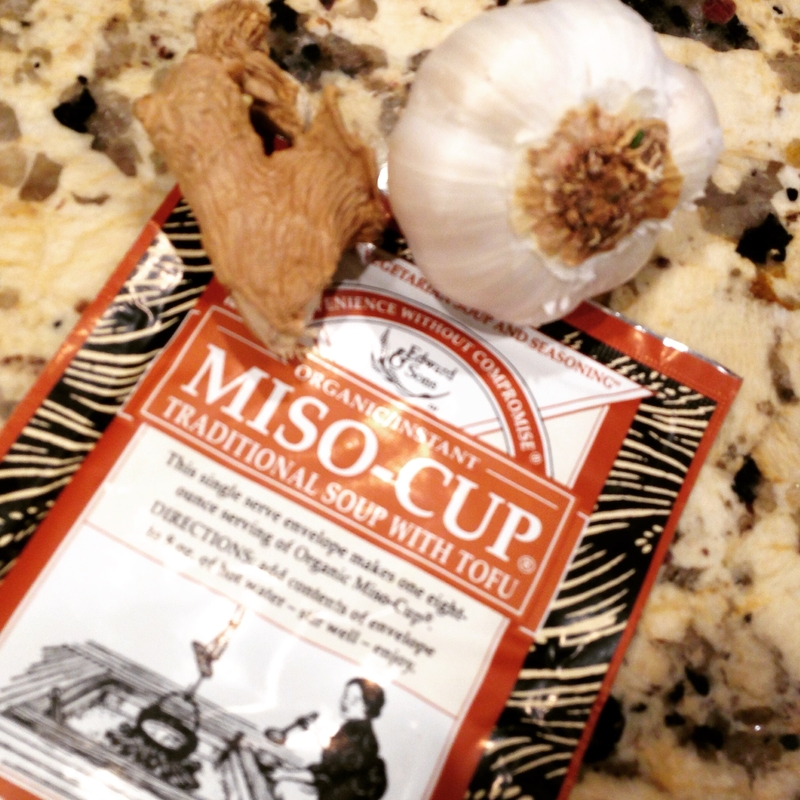 Miso is a paste or powder traditionally made from fermented soybeans or grains. It is believed that fermented foods contain a lot of probiotics which are good bacteria that fight bad bacteria. 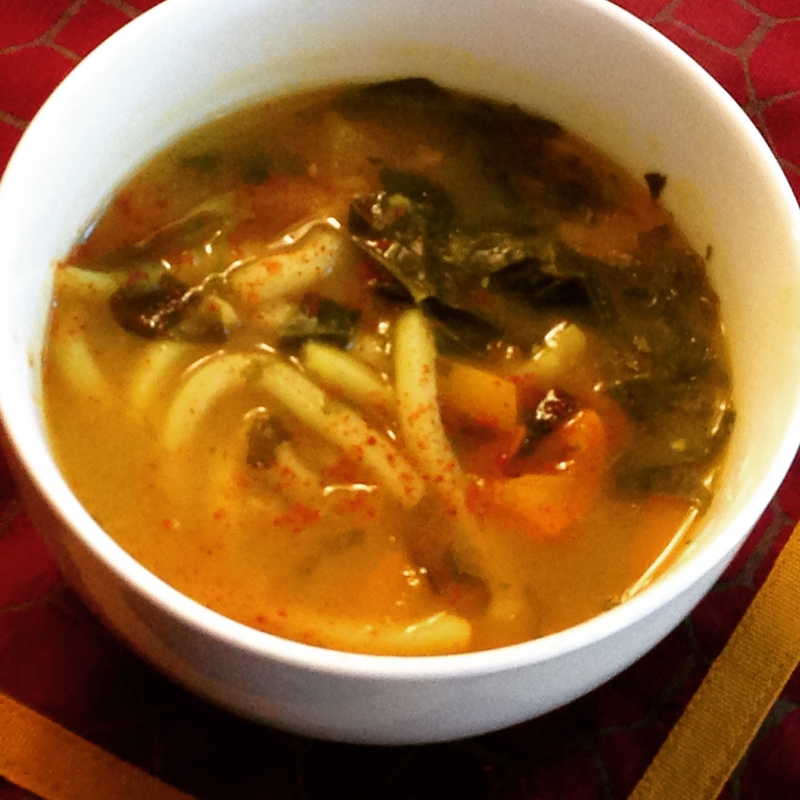 Cilantro is flavorful and detoxing, ginger for tolerable spiciness and anti-inflammatory properties, spinach for strength with its calcium and iron, and the “I’m sick” treat are the thick, tubular, almost gelatinous udon noodles. Angel hair or linguine pasta is divine here too. A little turmeric officially makes it a get well sooner bowl and a pinch of cayenne pepper provided a boost all around. 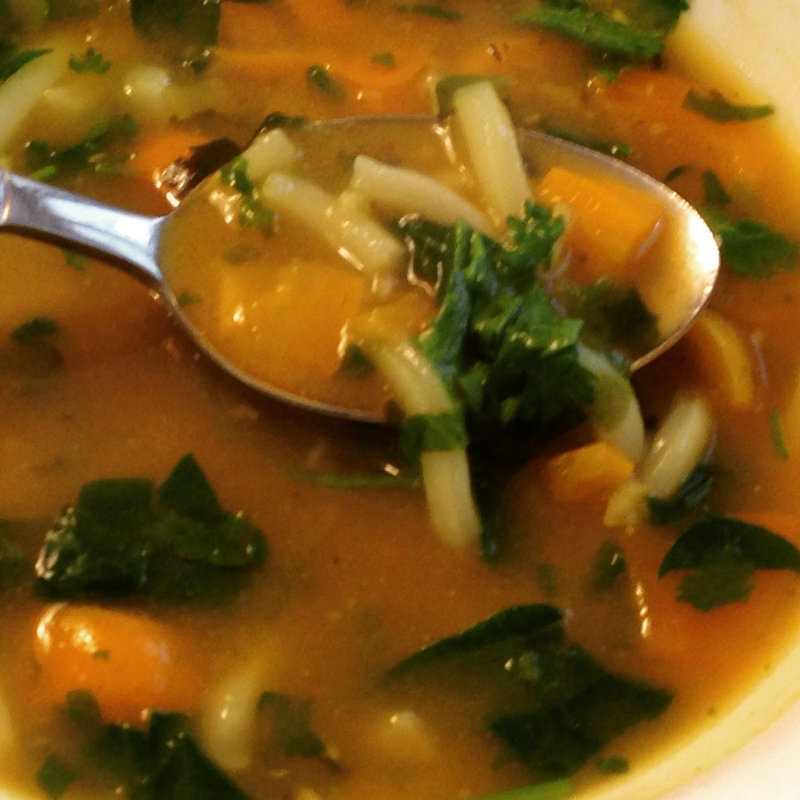 Spoon after spoon, you will feel warmed and decongested! Pardon the slightly cloudy pics as the soup was steamy, piping hot and I couldn’t wait to dig in! Heat oil and saute peppers, ginger, garlic, salt, pepper, and turmeric for 2 minutes. Add broth and noodles and bring to a boil. 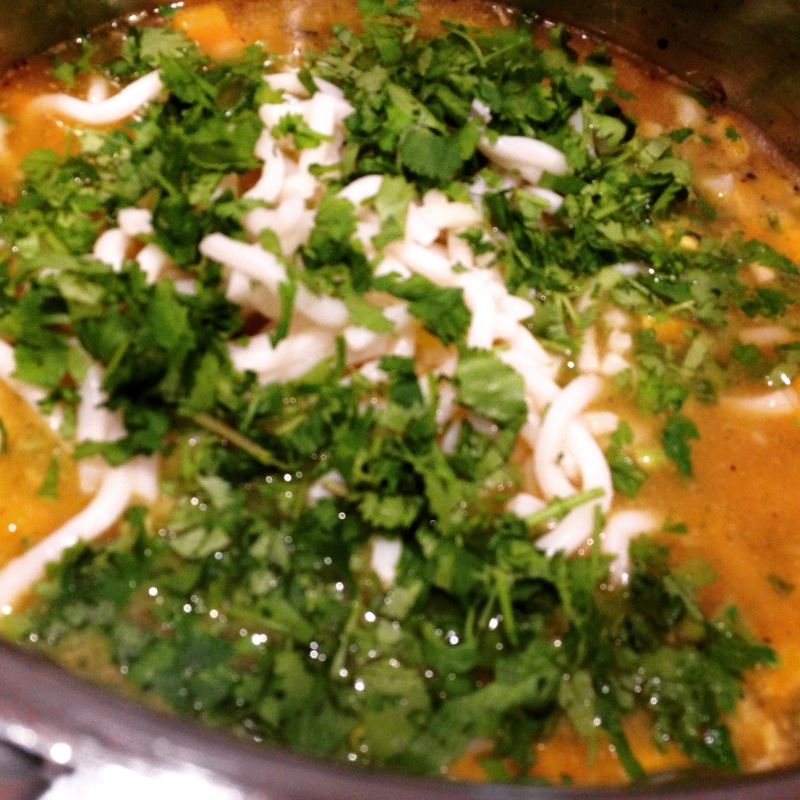 Reduce to a simmer, stir in cilantro and spinach, and cook on low for 10 minutes. Remove ginger slices unless you want to continue to infuse the broth for spicier flavor. Serve within an hour otherwise noodles will absorb all of the broth.